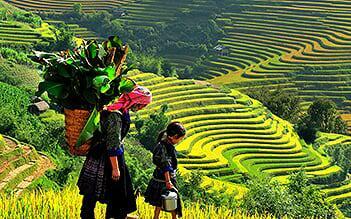 Ma Tra is the name of a village of H’Mong people located about 5km from Sapa town center (toward Lao Cai). The tourist route of Ma Tra - Ta Phin (Red Dao ethnic village) is a tourist route that attracts many travelers participating in this tour. Visitors will have the opportunity to learn the life of the people here and admire the natural landscape, etc. 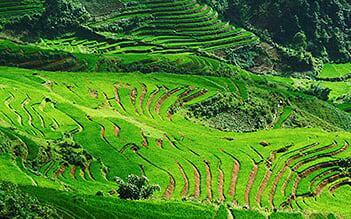 This is a village located in one of the most beautiful and quiet valleys with the terraced fields of Sapa. 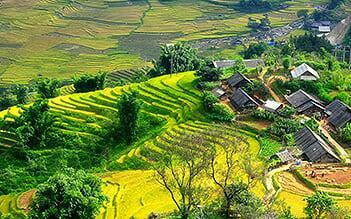 During your trip to the Ma Tra village, while walking around the village, you will be able to visit the small elementary school of the H'mong people, and stop at scenic spots enjoying the panoramic valley view and have a picnic lunch.